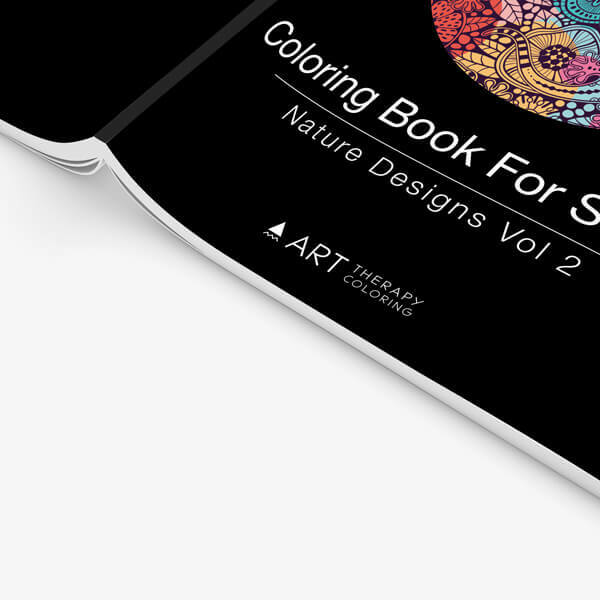 At Art Therapy Coloring, we have designed Coloring Book for Seniors: Nature Designs Vol. 2 to be fun to color, easy for colorists whose eyes aren’t what they once were, and beautiful for people who enjoy working on true pieces of art. 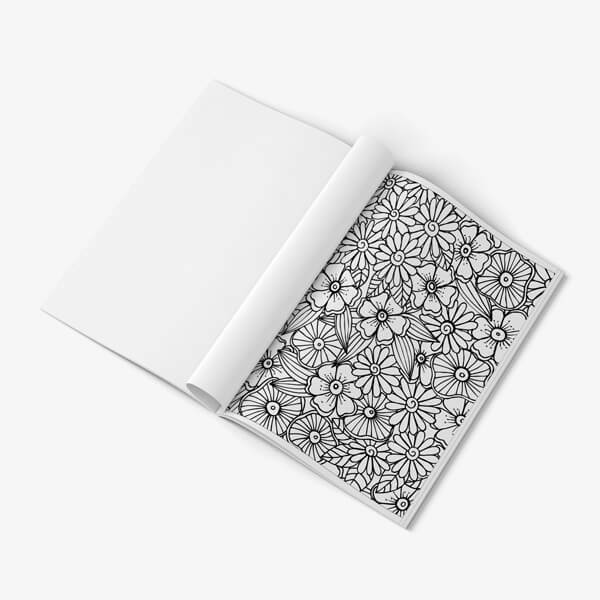 Many of the designs in Coloring Book for Seniors: Nature Designs Vol. 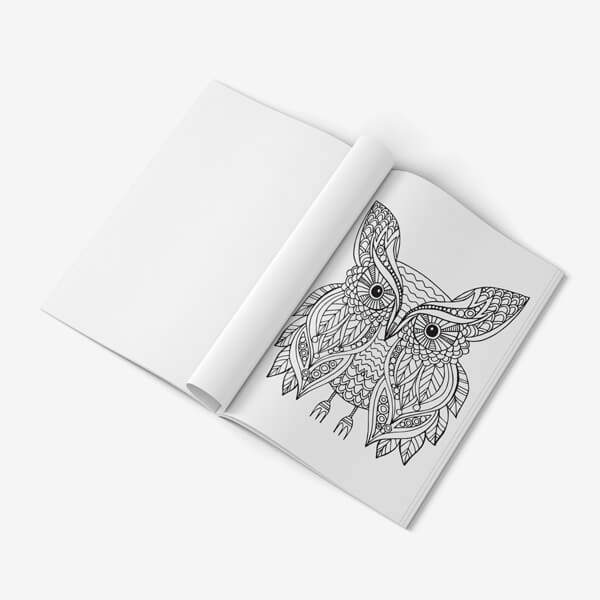 2 are soothing and hypnotizing patterns, while many others are uplifting and inspiring illustrations that will get you into the energy of the forest even if you are indoors coloring at a table. When we made Nature Designs Vol. 2, we took into account the most common challenges that senior citizens face: difficulty seeing tiny details close up, and difficulty holding one’s hand perfectly steady. 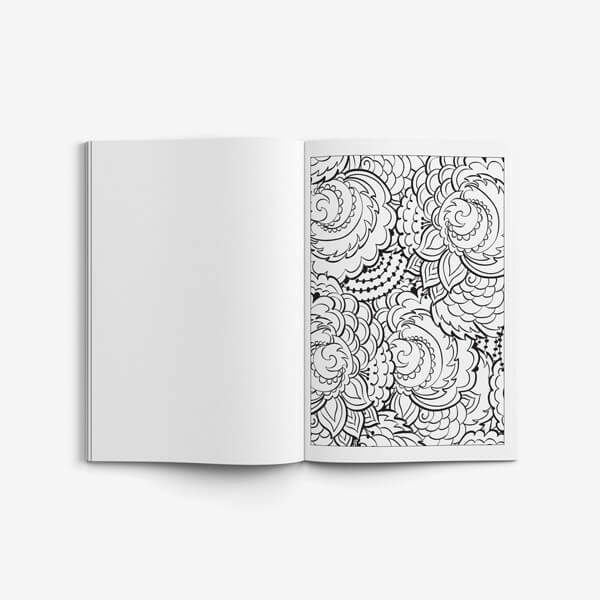 We wanted to make a book that would be fun and enjoyable to color, without causing frustration or anxiety. So we made the designs a little simpler and the lines a little bolder, so that our colorists ages 55 and up would be able to enjoy coloring without having to worry about the details of the picture being too tiny or difficult. 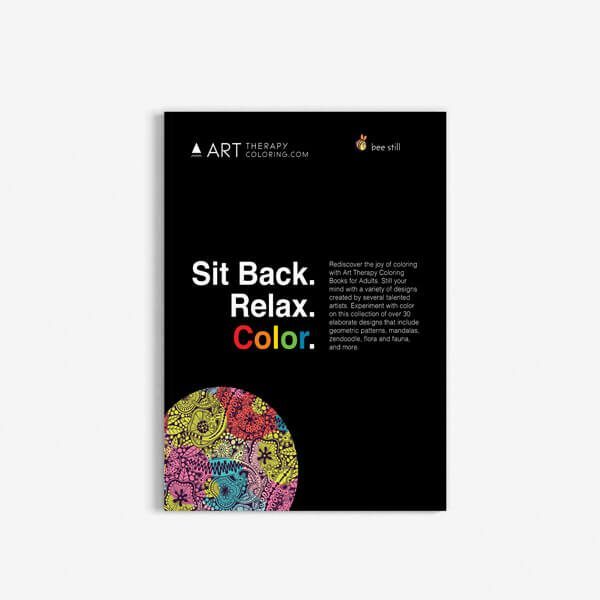 With this seniors coloring book, you get all the beautiful designs you would expect in any other adult coloring book from Art Therapy Coloring, but you also get some ease of coloring and accommodation that you might not get elsewhere. 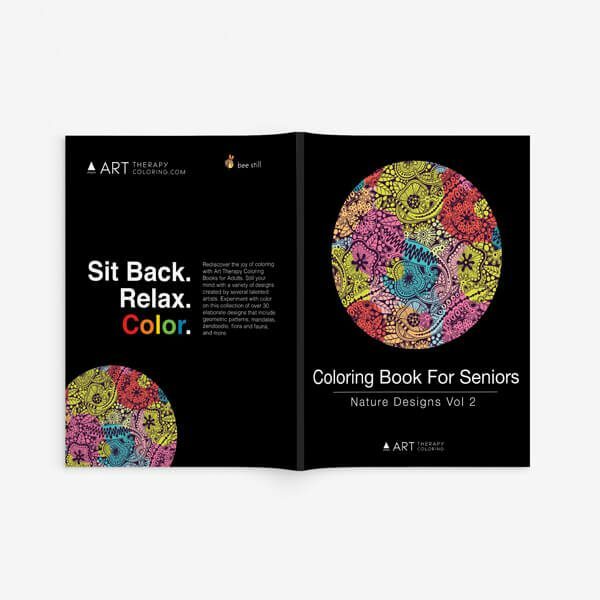 It’’s no wonder that our coloring book for senior citizens line is one of our most popular sellers. Coloring is a hugely beneficial practice to anyone, but especially to the elderly. Coloring lowers your stress and decreases your blood pressure, which is a big deal for a population that is statistically highly likely to be on statins and other blood pressure medications. Coloring also helps your brain. There have been several studies done showing that coloring helps to increase memory function, which is incredibly important for patients with dementia or for any other seniors who are concerned with maintaining their mental acuity. 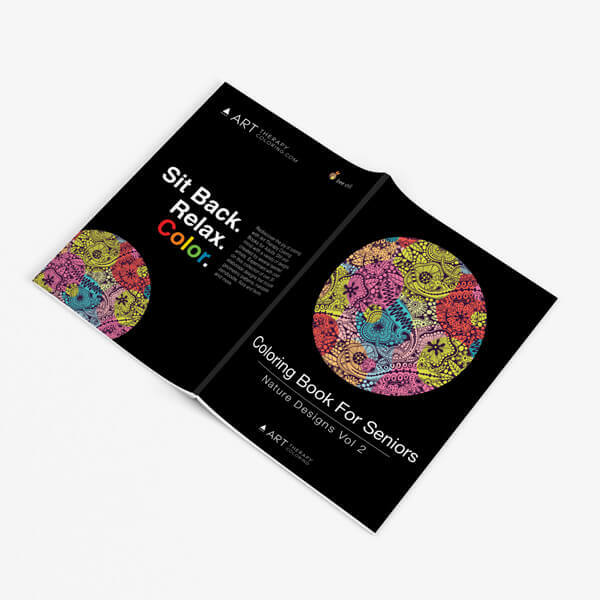 Coloring has a lot of the same mental benefits as meditation, as well. But unlike meditation, coloring is easy and does not require you to sit in silence trying to let go of your thoughts. In fact, coloring is a fun activity that people congregate towards no matter what age they are. 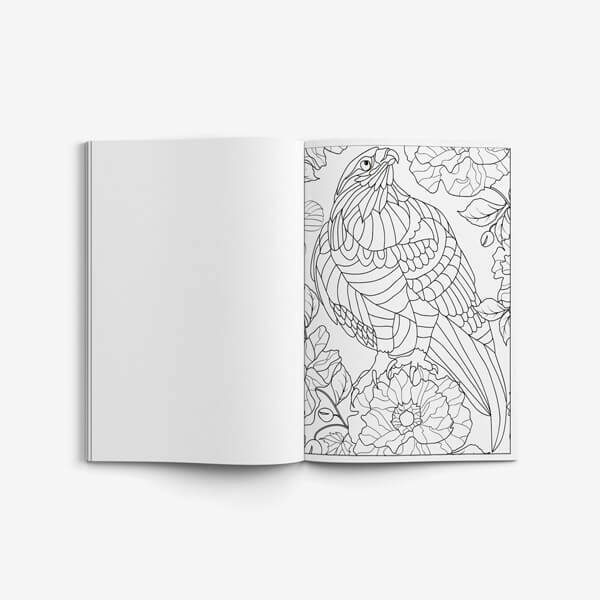 Let your inner child out with a coloring book for older adults from Art Therapy Coloring! Is coloring really art therapy? There is some debate about this. Licensed art therapists say that coloring is different from art therapy because art therapy is supposed to be free drawing or painting that helps the person receiving the therapy to work through and integrate emotions that come up in the art. On the other hand, there is no doubt that coloring is very therapeutic. It is calming and helps boost one’s mood. It also helps to unleash people’s creativity, especially for people who feel too intimidated by a blank page to just start drawing a picture. In the end, what matters is having fun and enjoying yourself. 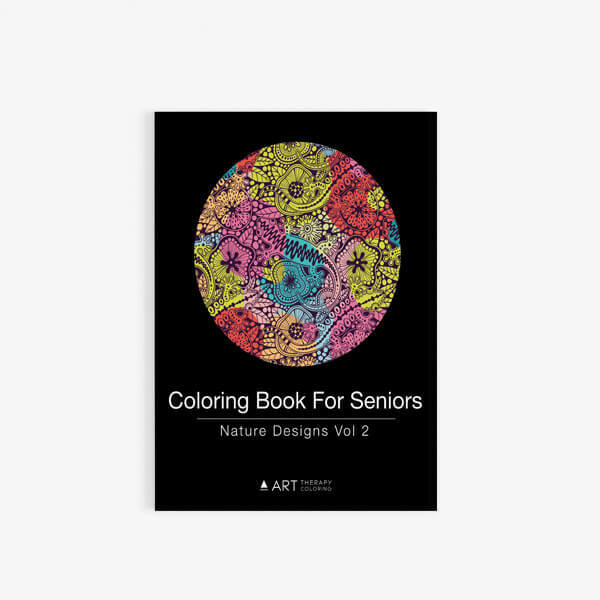 That’s what we created Coloring Book for Seniors: Nature Designs Vol. 2. 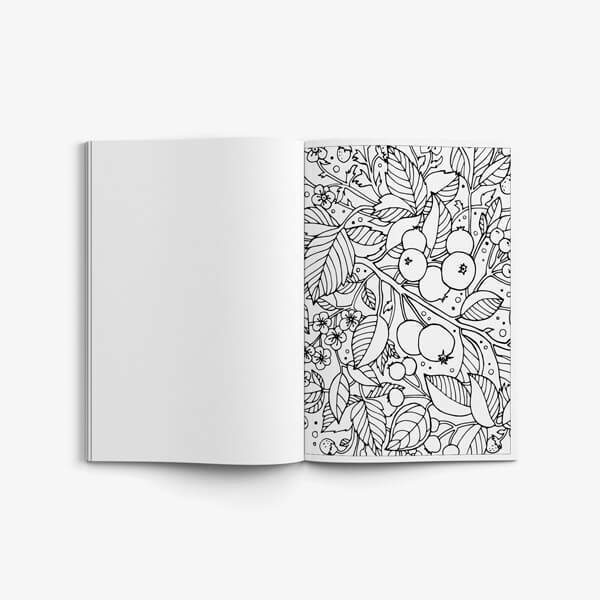 If you are looking for a great coloring book for Senior citizens, this is the book for you!